At Harmony Orthodontics, we enjoy welcoming new patients into our practice family. 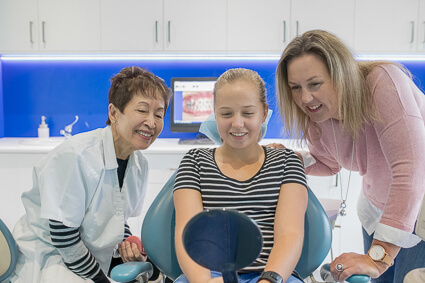 Not only do we pride ourselves on treating each patient with the highest quality orthodontic care and respect that they deserve, but we also believe in building one-on-one relationships with each patient, personally tailoring our treatment to suit their individual needs. 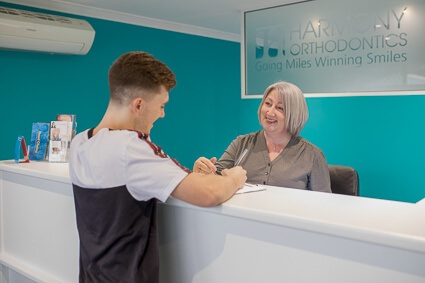 Thankfully, patients don’t require a referral to see an orthodontist, and we simply ask that you call our practice to book your initial consultation. After your appointment has been scheduled, we will send you a consultation form via the post that you can fill in and bring along to your first appointment. 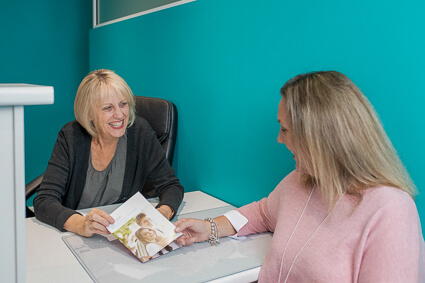 When you enter our practice for your appointment, you will be greeted warmly by our receptionist, before being invited to take a seat in our modern and comfortable waiting room. Here, you’ll find a range of up-to-date and stylish magazines to keep you entertained, although Dr Manaf prides herself on always running on time! Dr Manaf will examine your teeth and take necessary measurements to assess your malocclusion. Impressions to make study models of your teeth, as well as x-rays and photographs of your teeth, mouth, jaw, and face may also be required. These records are used to study and diagnose your orthodontic problems so that a treatment plan can be made specific to your needs. All of our x-rays are taken at the local radiology, which is a short walk from our practice. These x-rays are also covered by Medicare. 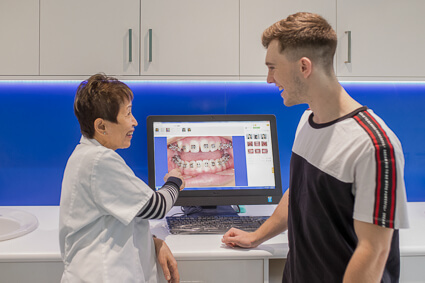 A second consultation, which we call the Treatment Plan appointment, will also take place to allow our orthodontist to assess your digital images and scans, as well as to advise you about your recommended treatment. This will not only involve a discussion of the treatment plan, but also the approximate costs, what to expect, how many visits are required, and any other questions you may have regarding your treatment. Once agreed, treatment will start as soon as possible. 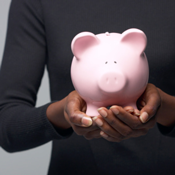 Our friendly staff will provide you with a consent form for treatment and will discuss our payment options including interest free in house payment plans. 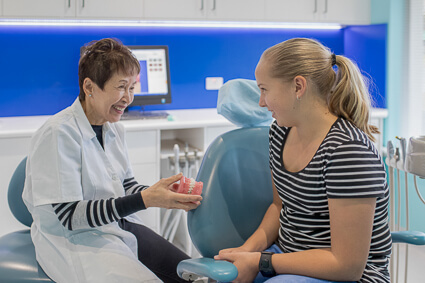 We are registered with all the major private health insurers and provide you with all the documentation you need (including item numbers) to submit your claim to your health fund for orthodontic treatment. Thinking about planning your first visit to Harmony Orthodontics? Don’t delay! Schedule your initial consultation with Dr Manaf by calling 08 9354 1080 today. Our friendly team look forward to meeting you!